ESAB® Compatible Finger Tip Amp Control, with 14 Pin Connector. 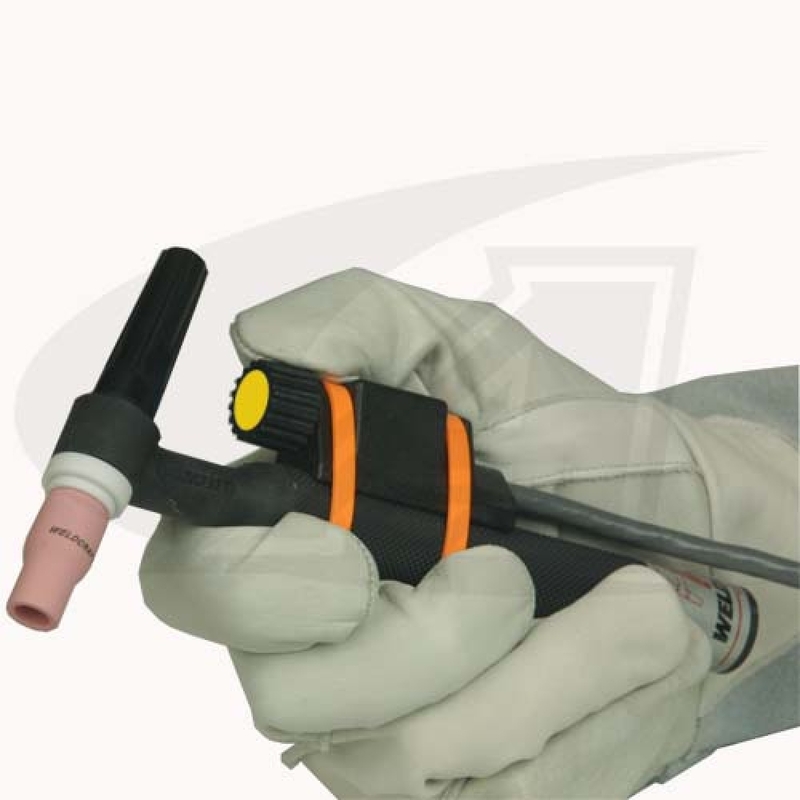 Mounts to TIG Torch Handle with Nylon Zip Ties, or Small Enough to be Held in the Palm of Your Hand. Ideal for Out-of-Position TIG Welding. Complete Kit with 80' (24.3m) Cable and 14 Pin Plug for ESAB® Power Supplies. Note: If you use power supplies other than ESAB® or if you prefer a different style switch -- check out our In-Line/North-South offering -- or contact Arc-Zone® for a solution to meet your specific needs.